Thank you to KORE Essentials for the sample. All thoughts shared are my own. How often does your guy complain about the way his belt fits? For my hubby, it was almost daily. No two belts are created equal, and for guys, it can be as hard for them to find a quality, good-fitting belt as it is for us ladies to find a good-fitting pair of jeans. Y'all- the struggle is real. I've seen it firsthand and sought high and low for a belt solution for my hubby. A few years ago, we found KORE Essentials and were amazed by their Trackline series of belts. KORE products are quality products. They're innovative, and so well made! They are handsome, sleek designs that guys will really love and appreciate! Dads, husbands, boyfriends, nephews, etc- you're going to love this belt! 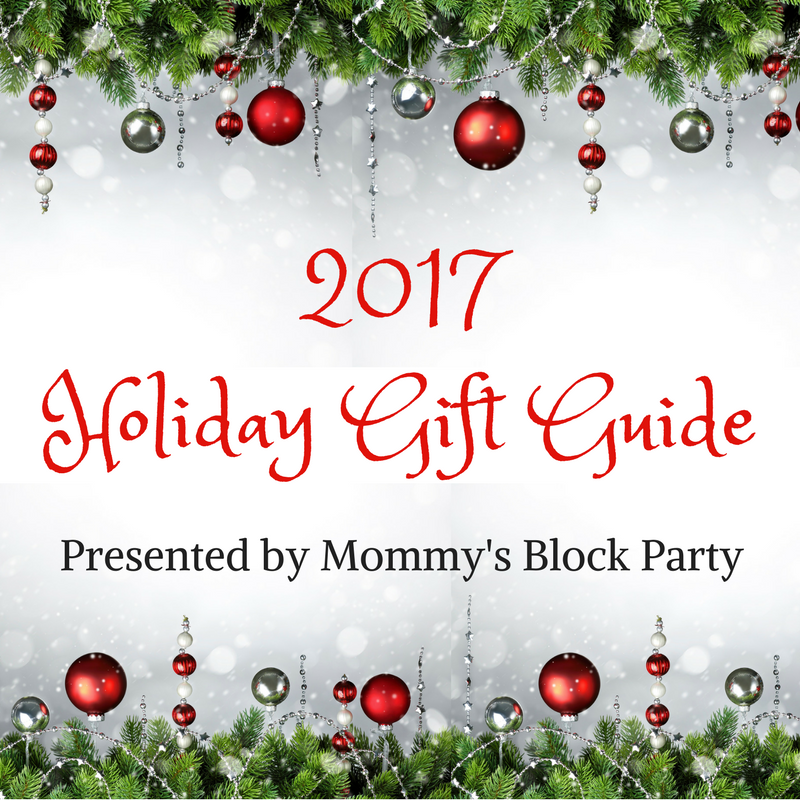 Ladies, keep reading for an awesome gift idea for your guys! In 2012, KORE set out to redefine men's accessories. Their simple approach >> blend innovation with superior quality to create better, more exciting products that exceed expectations. In my opinion, KORE has done exactly what they set out to do and so much more! 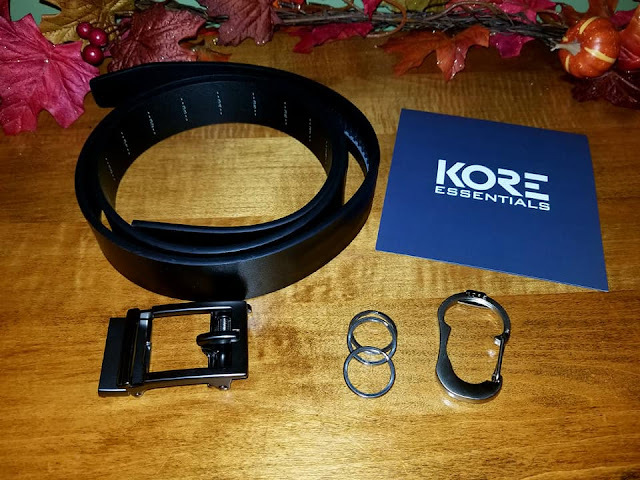 The KORE Essentials Trackline Belt Set comes with everything here. 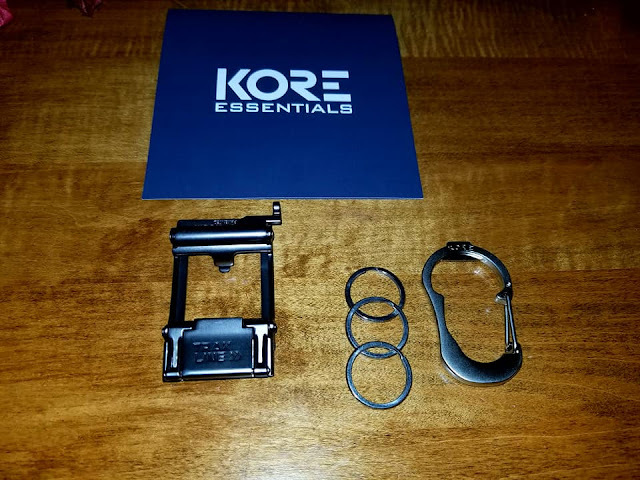 This gift set is the perfect way to get your guy started with a lifetime love affair with KORE. The set includes the Trakline belt, belt buckle, carabiner, and rings. What exactly is a Trakline Belt, you may be wondering? It's the coolest belt ever invented! 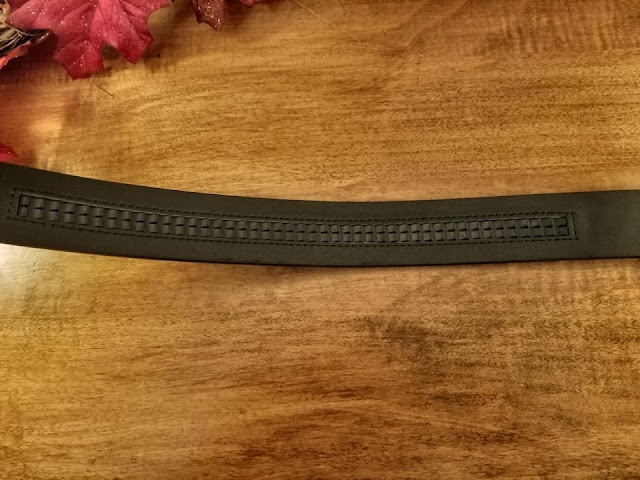 It's a genuine leather, high-quality belt, with no belt loops! How does it stay on without belt loops? Glad you thought to ask! Get your perfect fit every time! 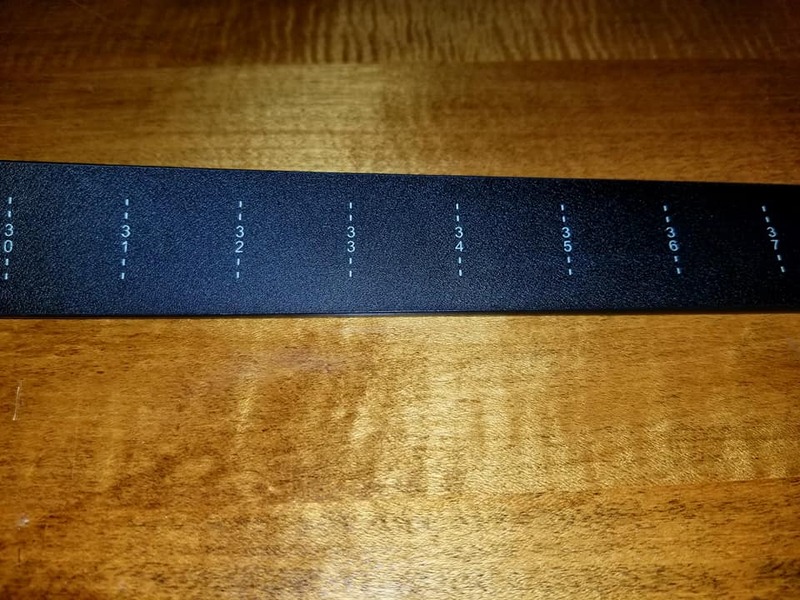 The KORE Essentials Trakline belt gives you measurements on the inside of the actual belt. You can fit the actual belt to the exact size you need, so you don't wind up with tons of overhang. Simply trim off what you don't want or need to be left on the belt. Couldn't be easier! The unique Trakline design gives you a track for your belt buckle. Next, simply add your belt buckle (you can remove them and swap them out for different KORE buckle designs! ), and then slide the belt into place. You'll hear it click into place as you slide it along on the track. That's it! You'll wind up with the perfect fit every time! No more bulky belts with worn out loops! No more using sharp tools to add extra belt holes. No more loose fitting belts, no more belt overhang. This is the belt that truly fits each and every time! My husband has had his Trakline belt for years and he won't wear anything else. In fact, I've ordered him more buckles and a new reversible belt for Christmas. My dad's skinny waist could use a good-fitting belt. That's why I'm gifting him a Trakline belt for Christmas this year. I know he's going to love it! Handsome extras come with the Trakline Belt from KORE! As an added bonus, when you purchase the starter belt, it'll come with the buckle, a KORE carabiner, and three rings. You can clip this directly onto the belt and keep track of your belongings! This belt is the ultimate holiday gift for guys on your list! Head on over to KORE Essentials to learn more about Trakline belts & more! Be sure to read the semi-humorous, yet inspiring story of how it all began. Check out KORE Essentials on Facebook, Pinterest, Instagram, G+, Youtube and Tumblr! 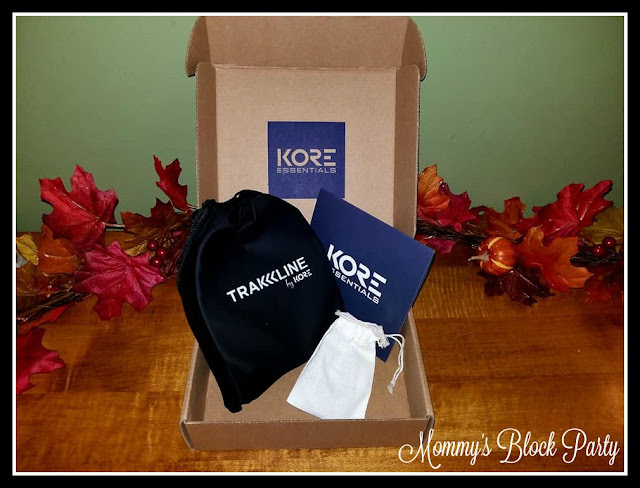 Special thanks to KORE Essentials for allowing us to experience their amazing Trakline Belt! 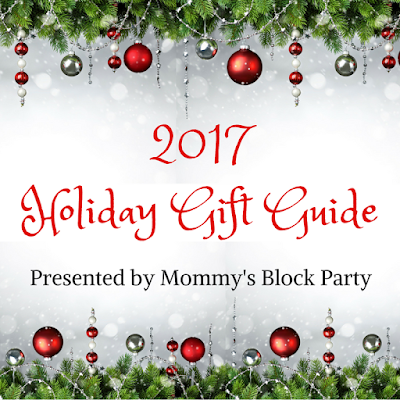 Look for Trakline in our 2017 Holiday Gift Guide!